Research suggests that a perfect vacation ranges for 8 days. It means that you will need 8 days to recover from the hectic lifestyle and refresh your mind, body, and soul to get back on the saddle. Once you want to plan for a nice vacation, the only thing that haunts you is your voluminous luggage. You will have to pack 8-days clothing items and will find that it has crossed the limits. Dragging your entire luggage at the airport during the vacation can become a nightmare when the number of bags increases. This is where the 4 wheeler suitcase and luggage bags come into the picture. You can literally pack your life inside these bags and can easily enjoy the destination vacation. Why Choose Four Wheel Suitcases? The Four wheel suitcases from A1 Fashion Goods are one of the reasons that will encourage you to visit a destination on your bucket list. You will find the utmost convenience and comfort to carry your entire luggage because of the elegance of these 4 wheel bags. Let us find out why most of the travelers prefer taking this genre of luggage carriers. Wrist and Shoulder Free Luggage Carrier: Imagine how independent you will feel when you can easily carry your entire luggage without using your wrists or shoulders! Yes! This is what every traveler needs to add to his/her luxuries before planning to go for a vacation. You can relax and save yourself from the wrist pains that might ruin your vacation entirely. The fabrication of these models includes a strong platform with four wheels attached at the base. 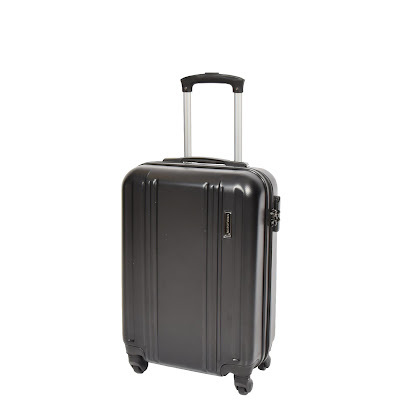 You can drag and carry the luggage suitcase easily without feeling minimum friction. All you have to do is to drag applying simple force. You will not have to feel the entire weight of your heavy luggage ever. 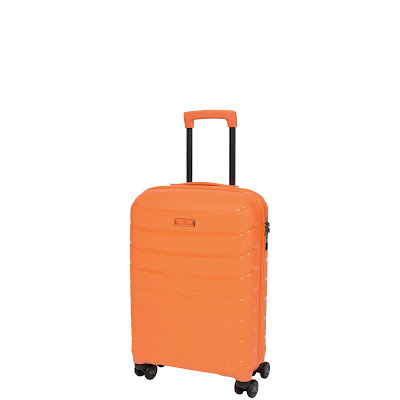 Stand up Style: These suitcases are made of hard plastic which is not only light but also extremely strong. It means that you can pack your bag and still keep the stand straight. The bags will not have to touch the gritty platforms and airport floors. These bags can support their weight on the four wheels attached at the base. In fact, you will not have to bend down all the time and pick your bag up. It also comes with an adjustable handle which will help you to drag it. Glide all the Way: Whether you are boarding a train, checking in a hotel or catching a flight, you can glide your luggage suitcase on the aisle and can move faster than carrying a bag with your hands. A simple tilt at the front will let you glide the heavy luggage casually. Verdict: Apart from immense space for packing and elegant features, these four wheel suitcases can be easily cleaned and kept fresh. The normal bags and cases smell like a dampened bog. You can easily get rid of any smell due to its easily cleanable surface. The modern designs of these bags will also make you look fashion forward.